An anti-semitic poster published by the yugoslav nazi party in belgrade, serbia. C. 1941- 1942. 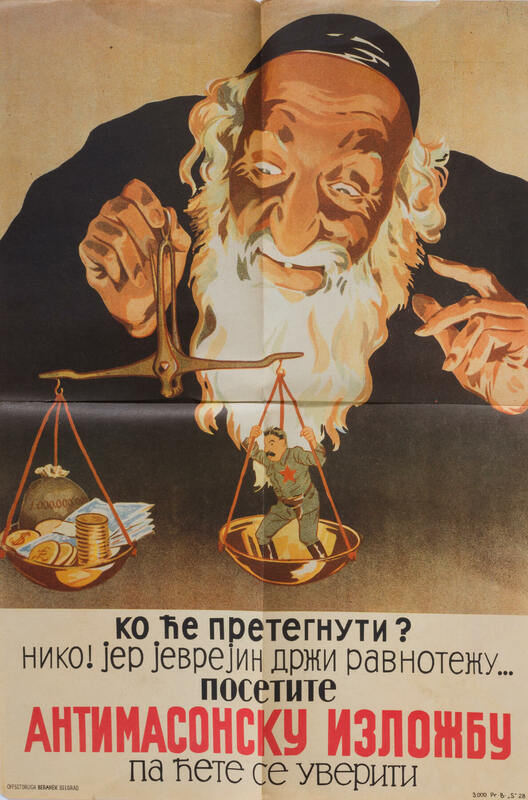 “which side will be heavier/ neither, because the jew is holding the scale”. Folds. 27” x 18”.